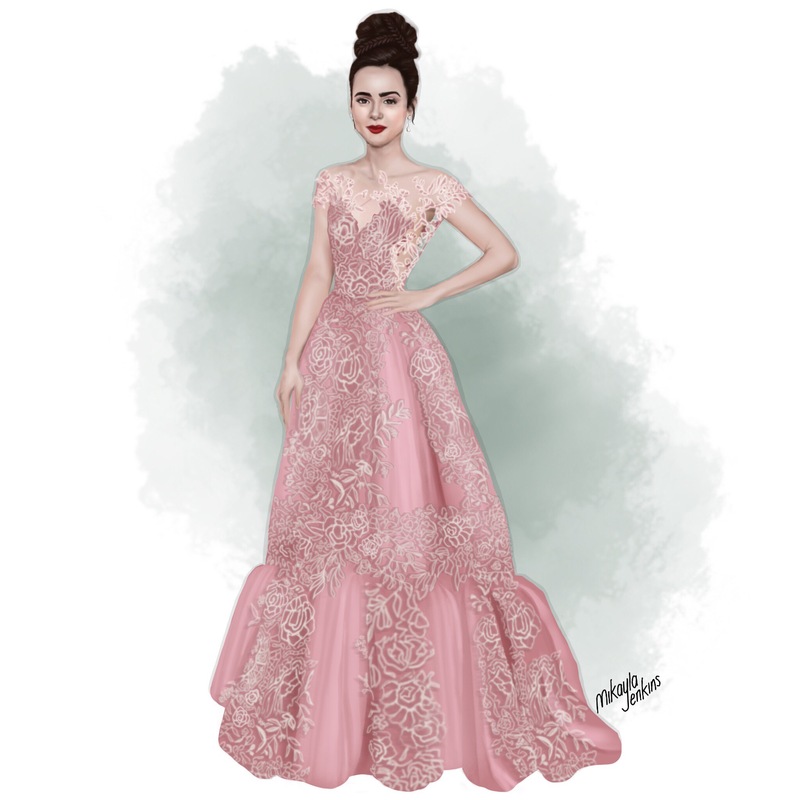 One of my favorite looks from this year’s Golden Globes is Lily Collins in Zuhair Murad. There’s no doubt that her pink floaty embellished dress was a show stopper on the red carpet. Bold bright red lips and a braided updo keep the look from being too saccharine sweet by providing a slight bit of edge to the look. beautiful painting, really. I love this. Oh my gosh this is amazing Mikayla! I adore this illustration, and it’s amazing how detailed and intricate it is, just like the gown itself! This was one of my favourite looks from the night as well! I also thought Emma Stone looked stunning in her pink star-embellished gown, and Sophia Vergara was a total bombshell! It’s always lovely to see the care and effort that goes into creating your amazing pictures! Thank you so much, Saba! I loved Emma Stone’s and Sophia Vergara’s red carpet looks as well. If I have to confess, Emma Stone’s dress was my absolute favorite!